he’s an evil, but funny, man! I deserved much worse so I just rolled my eyes and laughed! Wow, it looks like they blew a vein. I had that happen once when being prepped for an MRI. Took over a week for it to look somewhat normal. I know it hurts. Hey, if you tell them that you are a bare-handed boxer you should NOT tell them that you didn’t have a good match. Tell them that your match was excellent. 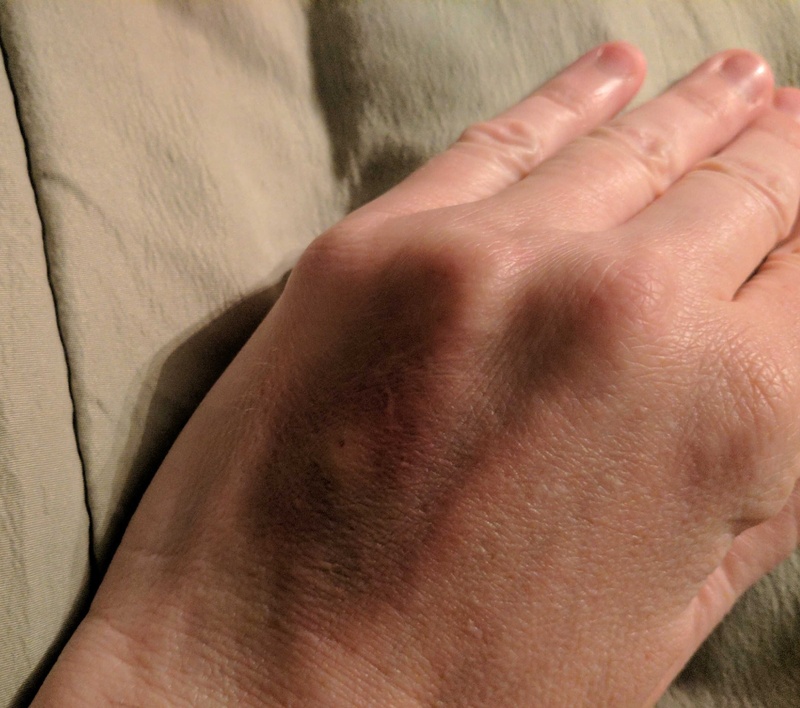 After all, if your hand looks like this, imagine what your opponent’s face must look like! Get all typey soon! 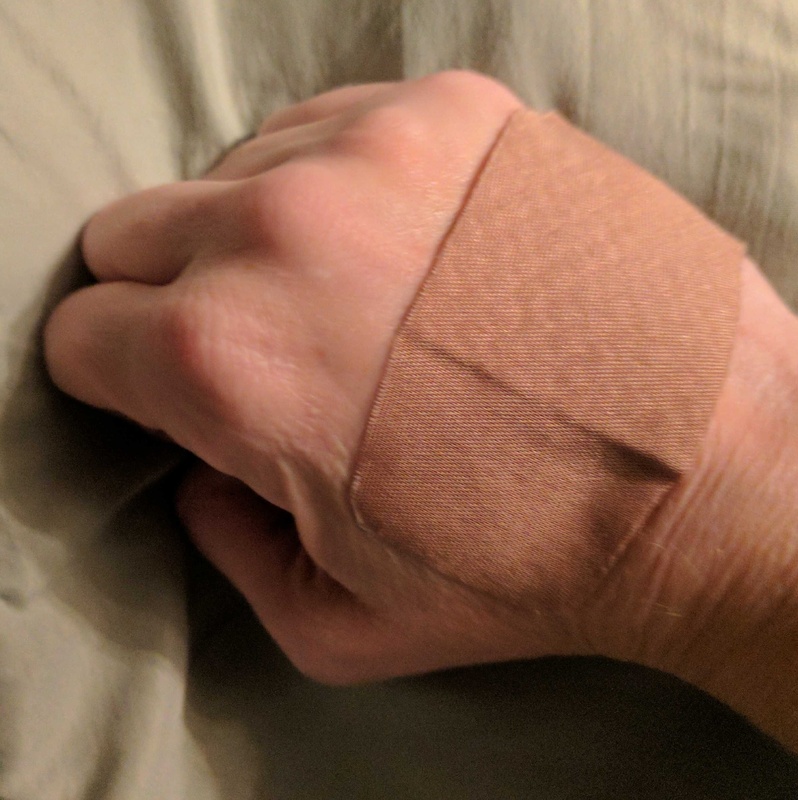 Doing the blog gig without fingers has to be yuck. I hope you’re feeling better….and good luck on the next fight…..I know better than to mess with you…. I knew you could do it kid. Now if you could just get over your nasty habit…..
Hahahaha and thanks for believing in me Coach! Somewhere my brace soldier, there’s a lesson in this. Probably to gag husband before hand surgery. At least we found each other virtually! Don’t even get me started on THAT!